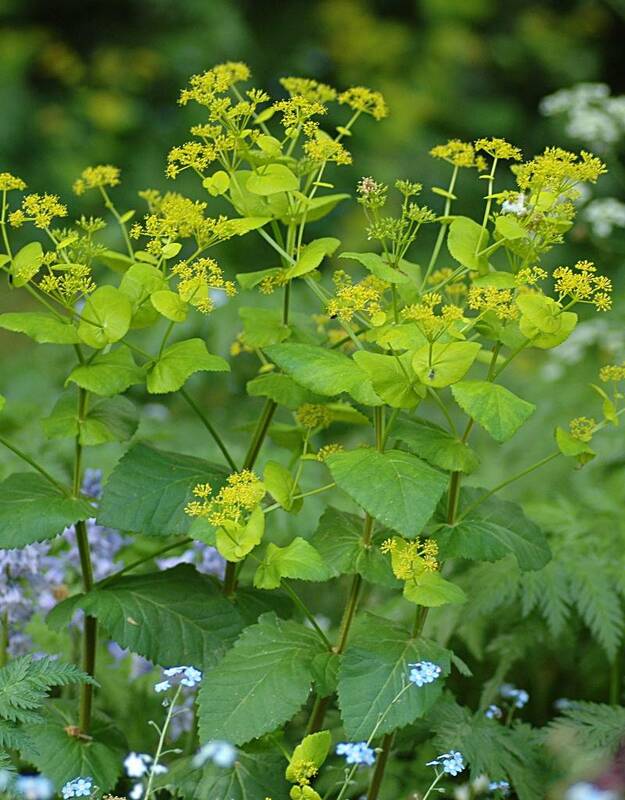 Years ago we collected a few seeds of Smyrnium perfoliatum (Perfoliate alexanders) from another Dutch garden and scattered it under the trees in our garden. With the help of a yearly dosis of leafmould, it has really made itself at home! 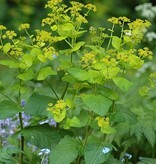 The lemony-yellow colour of Perfoliate alexanders is stunning against the unfurling leaves of the Beech trees. After flowering Smyrnium completely dies down, and although it isn't a perennial it easily self seeds so that fresh plants come up every spring. Smyrnium perfoliatum is native to southern and central Europe.